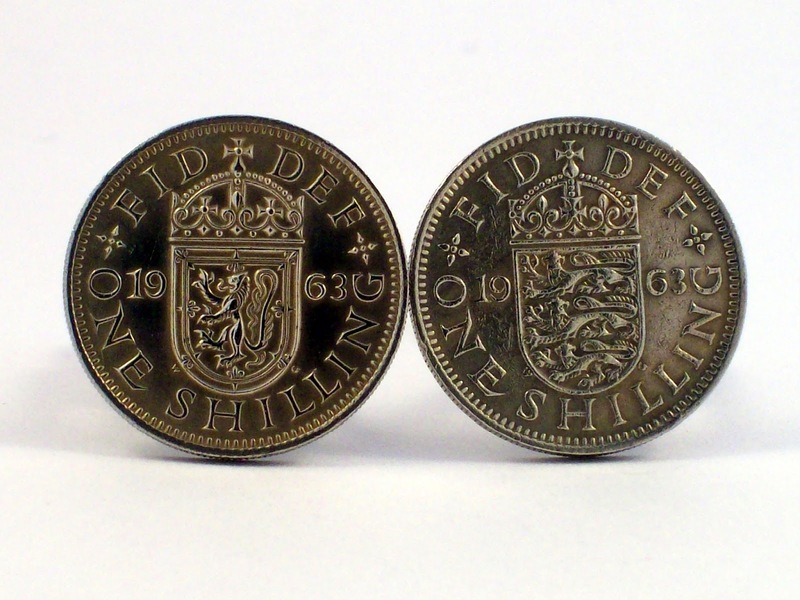 One of my best sellers in my Etsy shop are my Vintage Coin Cufflinks. Until now, that was really how far I'd ventured into men's jewellery/accessories. But with the fantastic hot weather that we've been having lately and everyone out and about enjoying themselves in the sun, I've seen lots of men with rolled up shirt sleeves or wearing t-shirts, that have been wearing smart and masculine bracelets and that has been the approach I have gone for, with my men's bracelet collection for 2013. 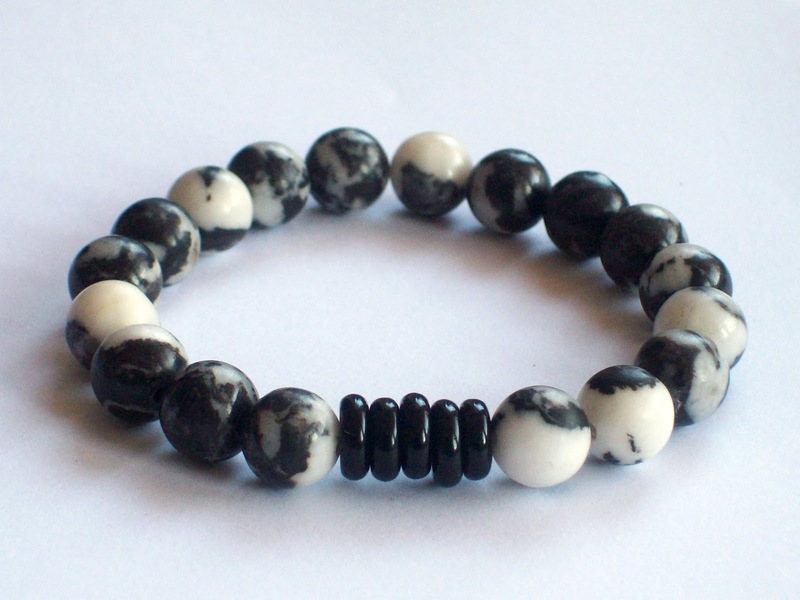 First up, is a black and white zebra jasper bracelet. The beads have an unusual black and white pattern, that look will remind you of a zebra. 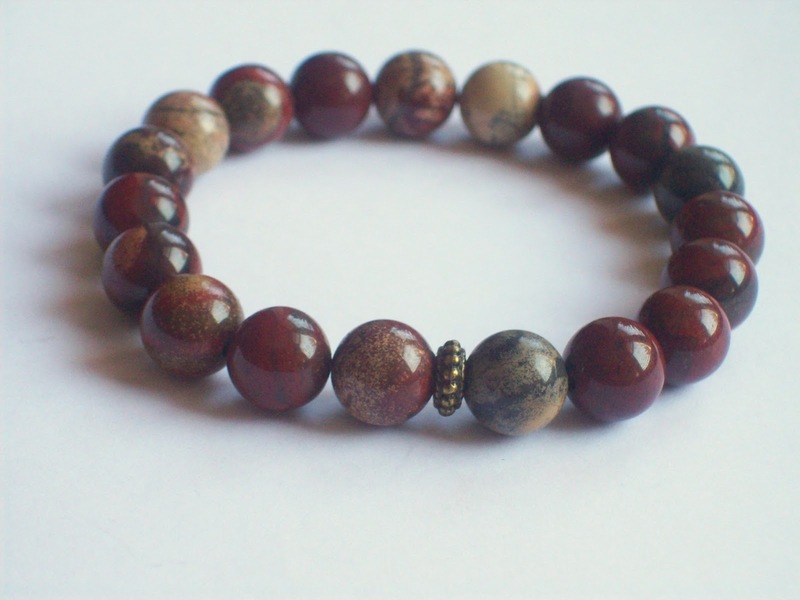 This is a rainbow jasper bracelet, the beads have beautiful shades of green, red and brown. I love the shine and glossy look of this hermatite bracelet. The beads have a dark grey/gun metal colour. I have used shiny wooden black beads for this bracelet, the gold beads have been added to the front, to break up the continuity of the dark coloured beads. Last, but not least is a bracelet made with very unusual gemstone beads. 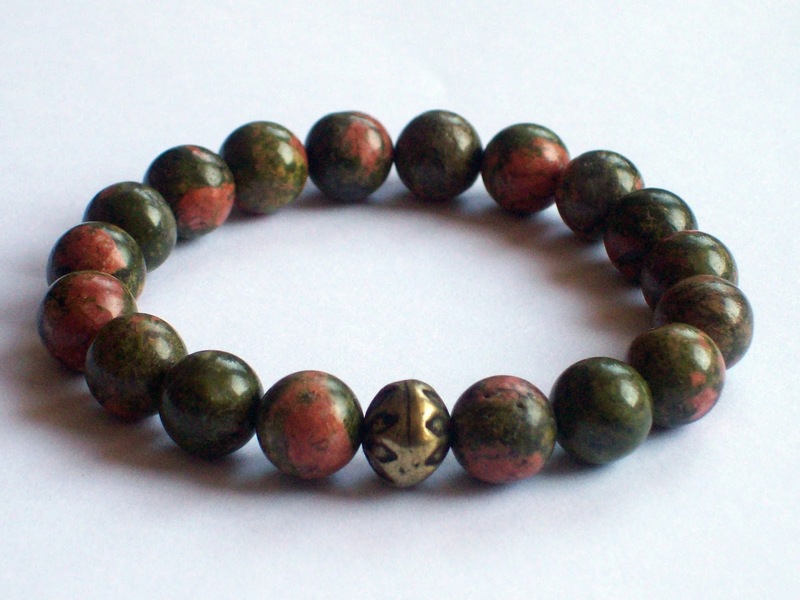 They are called Unakite beads and have a mottled green and pink colouring. This bead is also a member of the Jasper gemstone family. I hope to be adding some more bracelets to this collection, later on in the year. Since we've had glorious sunshine for the past couple of weeks, I've been making ankle bracelets, which for me is one of my favourite summer time jewellery to wear. Also, while your there, don't forget to take a peek at the new ankle bracelets, listed this week.